From wild animals to our adorable canine greeters, Exotic Animal Experience in Orlando is home to a wide variety of species. 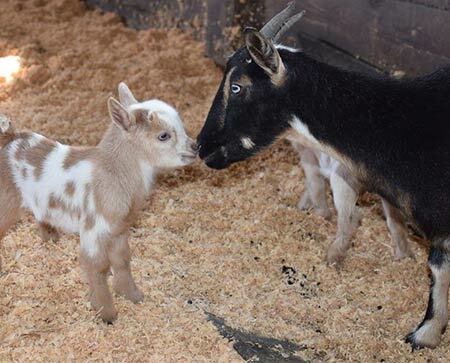 On this page, you'll find detailed information about each of our goats and our precious pups. Meet Willie, our African pygmy goat. At just five years old, this cute fellow has a white goal and is always happy to come by for a scratch on the head. Snickers is a four-year-old African pygmy goat and has resided on our compound her entire life. She is the mother of Cotton and Heath, who she had with Boo the Fainting Goat. Born with a breed-wide genetic disorder, Boo is our beloved fainting goat and the star of a viral video. This gold-and-white little guy is three years old and known for his sweet demeanor and love of human interaction. Cotton is half African pygmy goat and half Tennessee fainting goat, though he doesn't have the recessive gene. Like his father Boo, he is mostly gold and white in color. 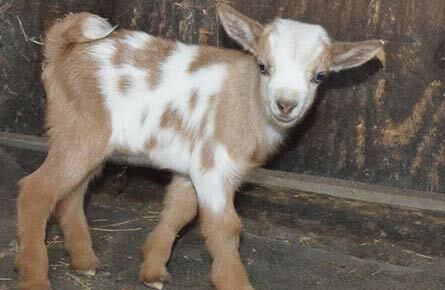 The twin brother of Cotton, Heath is also a pygmy-fainting goat mix without the recessive fainting gene. Born in 2016, Heath is one of the younger goats featured in our tour. Last but certainly not least, we'd like to introduce you to our canine ambassadors. We have three dogs — Keeva, Mick, and Rascal — who serve as greeters for our compound. These pups are an integral part of our facility and are always a pleasant site as visitors make their way through. 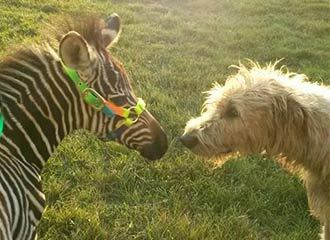 Keeva is an Irish Wolfhound born in 2013 who serves as one of our beloved canine greeters. Gray in color and incredibly sweet, this pooch is known for her super sensitive, lovable nature. 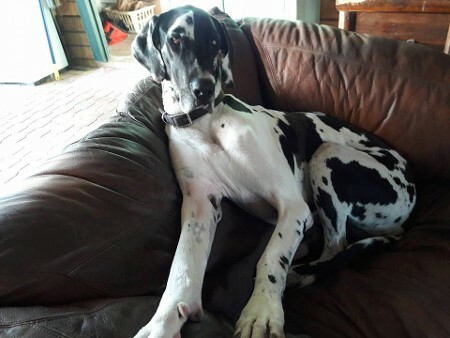 Meet our three-year-old Harlequin Great Dane Nick. A resident of the compound since he was a puppy, Nick is known for his goofy personality and loving spirit. 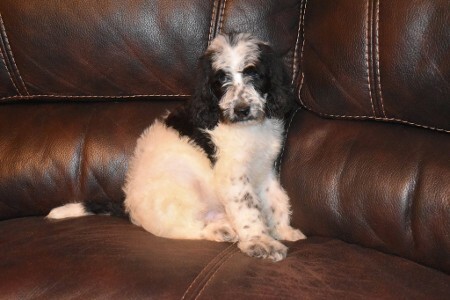 Our black and white Labradoodle has resided at our animal facility his entire life. Coming to us by way of a local breeder, this soon-to-be one-year-old pup is adorable, loving, and happy to greet guests as they visit.